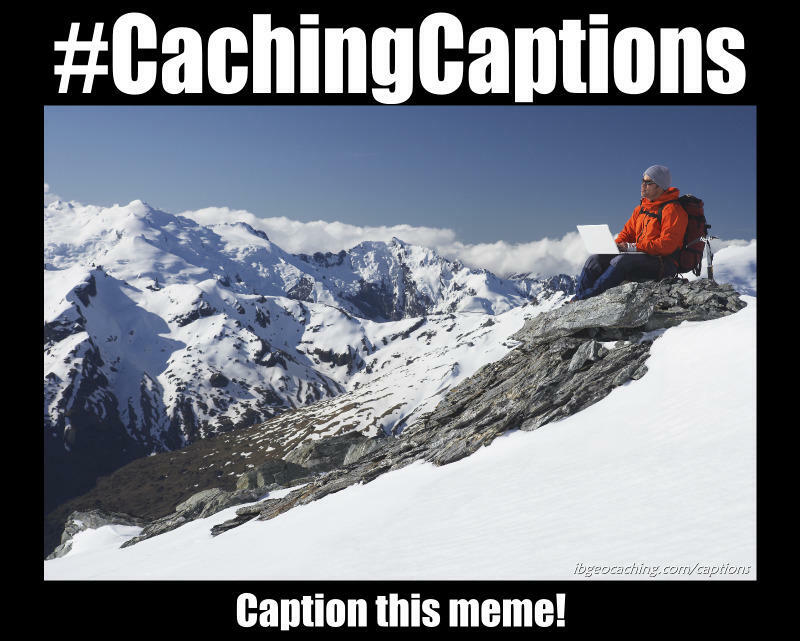 We post a picture or blank meme on select Mondays and you need to come up with a creative geocaching caption for it. Captions are accepted till early Wednesday morning, one per person. On Wednesday the submissions will be posted and visitors will have until early Friday to vote for their favourite. On Friday the winner will be announced on our Facebook page and a prize awarded. Everyone who votes is entered in a draw for another prize, so tell your friends to vote too!